He would his write his Introduction to his book of universal history in a span of five months. This impressive document is a gist of his wisdom and hard earned experience. He would use his political and first had knowledge of the people of Maghrib to formulate many of his ideas. This document would summarize Ibn Khaldun’s ideas about every field of knowledge during his day. He would discuss a variety of topics. He would discuss History and Historiography. He would rebuke some of the historical claims with a calculated logic. He would discuss the current sciences of his days. He would talk about astronomy, astrology, and numerology. He would discuss Chemistry, alchemy and Magic in a scientific way. He would freely offer his opinions and document well the “facts” of the other point of view. His discussion of Tribal societies and social forces would be the most interesting part of his thesis. He would illuminate the world with deep insight into the workings and makings of kingdoms and civilizations. His thesis that the conquered race will always emulate the conqueror in every way. His theory about Asbyiah (group feeling) and the role that it plays in Bedouin societies is insightful. His theories of the science of Umran (sociology) are all pearls of wisdom. His Introduction is his greatest legacy that he left for all of humanity and the generations to come. He is ‘Abd al-Raḥmān b. Muḥammad b. Muḥammad b. Muḥammad b. al-Ḥasan b. Jābir b. Muḥammad b. Ibrāhīm b. ‘Abd al-Raḥmān Ibn Khaldūn. According to Ibn Khaldūn, his ancestors originated in Ḥaḍramawt, Yemen. He also traced his ancestry (through another genealogy, as supplied by Ibn Hazm in his book Jamharat ansāb al-‘arab) back to Wā‛il b. Ḥajar, one of the oldest Yemeni tribes. These genealogies point to his Arab origin, although some scholars question the authenticity of these reports because of the political climate at the time of the reports. Ibn Khaldūn was born in Tunis on 27 May 1332 /1 Ramaḍān 732.He received a traditional education that was typical for one of his family’s rank and status. He learned first at the hands of his father, who was a scholarly person, and not involved in politics like his ancestors. He memorized the Qur’an, learned grammar, jurisprudence, ḥadīth, rhetoric, philology, and poetry. He reached a certain proficiency in these subjects and received certification in them. 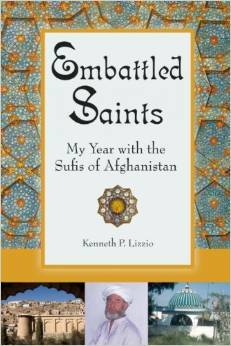 In his autobiography, he mentions the names of the scholars with whom he studied. Ibn Khaldūn continued his studies until the age of nineteen, when the great plague swept over the lands from Samarqand to Mauritania. It was after this plague that Ibn Khaldūn received his first public assignment, marking the start of his political career, and forever changing his life. 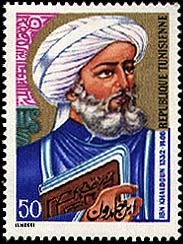 Ibn Tafrakin, the ruler of Tunis, called Ibn Khaldūn to be the seal-bearer of his captive, Sultan Abū Isḥāq. It is here that Ibn Khaldūn had a firsthand look at the inner workings of court politics and the weakness of the government. Before long he had the opportunity to leave Tunis. In 713/1352 Abū Ziyad, the amīr of Constantine, marched on Tunis. Ibn Khaldūn accompanied Ibn Tafrakin with the forces that warded off Abū Ziyad’s attack. 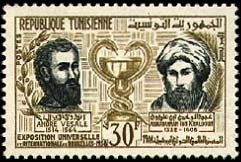 Tunis was defeated and Ibn Khaldūn escaped to Aba, where he lived with the Muwaḥḥidīn (r. 524–668/1130–1269). He moved back and forth through Algeria and settled in Biskra. At the same time, in Morocco, Sultan Abū ‘Inān, who had recently settled on the throne of his father, was on his way to conquer Algeria. Ibn Khaldūn traveled to Tlemcen to meet the sultan, and mentions that the sultan honored him and sent him with his chamberlain, Ibn Abī ‘Amr, to Bougie to witness its submission to Sultan Abū ‘Inān. Ibn Khaldūn stayed in the company of the chamberlain while the sultan moved back to the capital, Fez. In 755/1354 Ibn Khaldūn accepted the invitation to join the council of ‘ulamā‛ and moved to Fez. He was eventually promoted to the post of seal-bearer and accepted it reluctantly, as it was inferior to the posts once occupied by his ancestors. Ibn Khaldūn used his stay in Fez to further his studies. At this time, Fez was a capital of Morocco and enjoyed the company of many scholars from all over North Africa and Andalusia. Ibn Khaldūn was an ambitious young man and, at this point of his life he began to engage in court politics. He was promoted from one position to another. He also conspired with Abū ‘Abdallāh Muḥammad, the dethroned ruler of Bougie who was captive in Fez at that time. Abū ‘Abdallāh was from the Banū Ḥafṣ, who were patrons of Ibn Khaldūn’s family. Sultan Abū ‘Inān found out about the conspiracy and imprisoned Ibn Khaldūn. Abū ‘Abdallāh was released from prison and Ibn Khaldūn was held for another two years. Sultan Abū ‘Inān fell ill and died before fulfilling his promise to release Ibn Khaldūn. The wazīr, al-Ḥassan b. 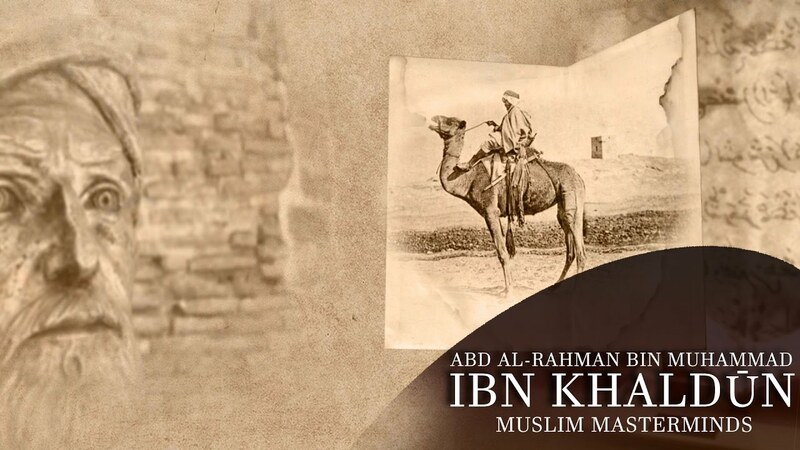 ‘Umar, ordered the release of Ibn Khaldūn, who was then restored to his former position. The political climate was tense and Ibn Khaldūn again tested his fate and conspired against the wazīr with al-Manṣūr. This loyalty was short-lived as well. He conspired with Sultan Abū Sālim, who overthrew al-Manṣūr. Ibn Khaldūn took the position of secretary (literally, “repository of secrets,” amīn al-sirr). In this, Ibn Khaldūn excelled in his position and composed many poems. He occupied the position for two more years and was then appointed Chief Justice. He showed great ability in this position, but, as a result of constant rivalry with high officials, he lost favor with the sultan. This, however proved unimportant, as a revolt took place and Sultan Abū Sālim was overthrown by the wazīr, ‘Umar. Ibn Khaldūn sided with the victors and was reinstated to his post, with higher pay. Ibn Khaldūn was as ambitious as ever, and wanted a higher position—namely that of chamberlain. For reasons unknown (perhaps he was not trusted), he was refused the position. This upset him enough that he resigned his position, and he, in turn, upset the wazīr. Ibn Khaldūn asked to leave Fez and go back to Tunisia and was refused. It was then that he asked the wazīr’s son-in-law to intercede on his behalf, that he be allowed to go to Andalusia. Sultan Muḥammad al-Aḥmar, the King of Granada, was deposed by his brother Ismā‘īl, who was supported by his brother-in-law. Sultan Muḥammad was a friend of Sultan Abū Salim, who had helped Ibn Khaldūn when he was deported to Andalusia by Sultan Abū ‘Inān. When Sultan Abū ‘Inān died and Sultan Abū Sālim became ruler, that friendship was rekindled. Furthermore, when Ismā‘īl al-Aḥmar was declared King of Granada in a palace revolt, Sultan Muḥammad took refuge in Morocco with Sultan Abū Sālim. They were welcomed with great fanfare, and Ibn Khaldūn was present at the festivities. Among Sultan Muḥammad’s party was his wise wazīr, Ibn al-Khaṭīb, who developed a close friendship with Ibn Khaldūn. Sultan Muḥammad attempted to restore his throne in Granada through an agreement with Pedro the Cruel, King of Castile. Pedro delayed the execution of the agreement upon hearing of Sultan Abū Sālim’s death. Sultan Muḥammad appealed to Ibn Khaldūn for assistance from the wazīr, ‘Umar. Ibn Khaldūn used his influence to help him, and Ibn Khaldūn was even entrusted to care for Sultan Muḥammad’s family in Fez. The wazīr granted Sultan Muḥammad the city of Ronda and the surrounding country. 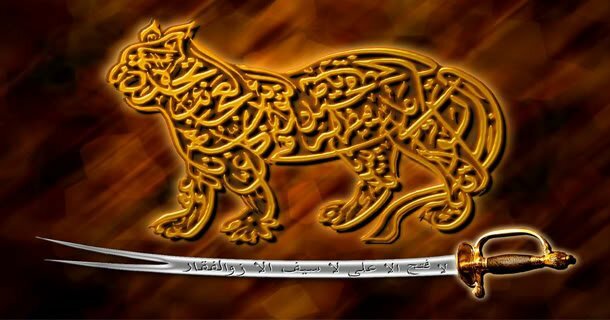 Sultan Muḥammad continued his efforts and recaptured his throne in 736/1361. He then recalled his wazīr Ibn al-Khaṭīb. When the relationship between Sultan Muḥammad and Ibn Khaldūn soured, he became uncertain, and turned toward Andalusia. He was welcomed and honored by Sultan Muḥammad, who admitted him to his private council. In the following year, Sultan Muḥammad sent Ibn Khaldūn on an ambassadorial mission to Pedro, the King of Castile. Ibn Khaldūn concluded the mission and peaceful terms were established between them. Pedro offered Ibn Khaldūn a position in his service and the return of his family’s former estate at Castile. Ibn Khaldūn declined the offer. Upon his return from Castile, Ibn Khaldūn offered Pedro’s gift to him to the sultan and in return, the sultan gave him the village of Elvira. Soon Ibn Khaldūn was restless once more and in the following year, 766/1364, when he received an invitation from his friend Abū ‘Abdallāh, who had recaptured his throne at Bougie, Ibn Khaldūn left Granada after asking permission to leave from Sultan Muḥammad. Ibn Khaldūn arrived in Bougie at the age of thirty-two. His plans had finally been realized. The period of imprisonment in Fez did not go to waste. He entered the city as a favorite guest. He accepted the position of ḥājib (chamberlain) for the amīr, Muḥammad. However, his life of power did not last long, as in the following year Abū l-‘Abbās killed the amīr, Muḥammad, his cousin. Ibn Khaldūn handed the city to him and retired to the city of Biskra. He continued his political work in relaying the tribes to the service of this or that amīr or sultan. He continued his practice of shifting loyalties as times and opportunities afforded him and finally retired to a far outpost south of Constantine, Fort Salāma. There, at the age of forty-five, he enjoyed a peaceful existence, and began to write his famous work, the Muqqddima, and the first version of his universal history. He dedicated his work to the current amīr of Constantine, Sultan Abū l-‘Abbās. But tranquility did not last long for Ibn Khaldūn, as he needed reference works that were not available at his far outpost. He used the occasion of Abū l-‘Abbās’s conquest of Tunisia to go to Tunis. This was the first time he had returned to the town of his birth since leaving it more than twenty-seven years earlier. There were political forces at work against him once more, and this time, before he fell out of favor, he used a convenient occasion (in 784/1382) to leave North Africa behind, never to return. 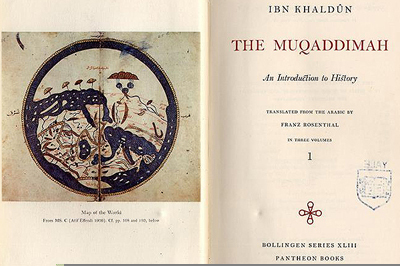 Figure 2:Frontispice of the English translation from Arabic of the Muqaddima of Ibn Khaldun in 3 volumes by Franz Rosenthal: The Muqaddimah: An Introduction to History (New York: Pantheon Books, 1958). Ibn Khaldūn was granted permission from Sultan Abū l-‘Abbās to go on ḥajj. He arrived in Alexandria in Shabān 784/ October 1382, at the ripe age of fifty. He spent a month preparing to leave for ḥajj, but was unable to join the caravan bound for the Holy Lands. He turned toward Cairo instead. Here he was warmly welcomed by scholars and students, and it was in Cairo that he lived out his final days. His fame for his writings had already preceded him. He lectured at al-Azhar and other fine schools. When he met Sultan al-Ẓahir Barqūq (r. 784–801/1382–1399), he appointed him to a teaching post at the Kamāliyya school. He again enjoyed the favors of the sultan. He was appointed a Mālikī judge at the sultan’s whim, and anger. He fared well and tried to fight corruption and favoritism, but again, conspiracies worked against him and he was relieved of duty, just in time to coincide with his family’s disaster. The ship carrying his family and belongings sank in a storm. Ibn Khaldūn again took permission to go on ḥajj to the Holy Lands. He returned and was well received, and appointed to a teaching position in the newly-built school, Bayn al-Qaṣrayn. He lectured in ḥadīth, particularly Imām Mālik’s Muwaṭṭā‛. He was then appointed to the Sufi khanaqa (school) of Baybars with a generous salary. But soon, the state of affairs of Egypt was disturbed, as a rival of Sultan Barqūq, Yalbughā al-Nāṣarī, organized a successful revolt in 791/1388. Sultan Barqūq staged a counter-revolt and was restored to his former throne. During this period, Ibn Khaldūn lost and then had his position restored with the return to power of the victorious Sultan Barqūq. All the while, Ibn Khaldūn devoted his time to lecturing and studying, as well as to completing his universal history. After Yalbughā al-Nāṣarī’s revolt, he wrote about ‘aṣabiyya and its role in the rise and fall of states. He applied his theory to the Egyptian theater from the time of Ṣalāḥ al-Dīn. Fourteen years after leaving the position of chief Mālikī judge, Ibn Khaldūn was reassigned to the post upon the death of the presiding judge. The state again fell into disarray upon Sultan Barqūq’s death and the ascension of his son Faraj (r. 1389–1412). Ibn Khaldūn was not a party to these revolts and asked permission to visit Jerusalem. He joined Sultan Faraj’s caravan on its way back from Damascus, and was relieved of his duties as judge for the second time, again due to political intrigue. This did not matter to him, as he was called upon to accompany the sultan on a perilous journey with fate to Damascus. During Ibn Khaldūn’s stay in Egypt Sultan Faraj asked him to accompany his expedition to Damascus. News reports had confirmed the movement of Tamerlane’s war party toward Damascus. Sultan Faraj and his army were on their way there, and it seems that Ibn Khaldūn was asked, firmly, to accompany the sultan to Damascus. The sultan stayed in Damascus just two weeks; he had to leave because of rumors that a revolt was in the works in Cairo. Ibn Khaldūn and several notables were left behind in Damascus. It was up to the leaders of Damascus to deal with Tamerlane. Ibn Khaldūn had suggested that they consider Tamerlane’s terms. It was the task of another judge, Ibn Mufliḥ, to discuss the terms with Tamerlane. When Ibn Mufliḥ returned from Tamerlane’s camp, the terms were not agreeable to the residents of Damascus. Since it was Ibn Khaldūn’s suggestion to come to terms with Tamerlane, he felt obliged to meet with Tamerlane personally, and so he left Damascus and went to Tamerlane’s camp. It is not clear whether he went on his own or in an official capacity. Ibn Khaldūn took gifts with him for Tamerlane and they were well received; he stayed in Tamerlane’s camp for thirty-five days. 6. Ibn Khaldūn’s intention to stay with Tamerlane. Ibn Khaldūn impressed the conqueror enough that he was asked to join Tamerlane’s court. Some biographers have suggested that he did plan to join Tamerlane’s court and that he wrote an eloquent appeal to return to Egypt to settle his affairs, get his books and family, and then join Tamerlane. However, it is more likely that Ibn Khaldūn left on good terms with Tamerlane, and accomplished his mission of extracting favorable terms for the people of Damascus. Upon Ibn Khaldūn’s return to Egypt, he was restored to his position as Mālikījudge. Due to the political situation within the community of Mālikījudges, Ibn Khaldūn was dismissed and reinstated three times during the five-year period. He died while in office on 26 Ramaḍān 808/17 March 1406. He was buried in the Sufi cemetery outside Bāb al-Naṣr, Cairo, at the age of seventy-four. 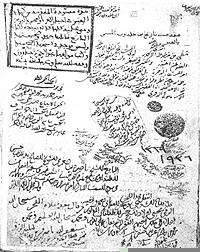 Figure 3: Autograph of Ibn Khaldun (upper left corner) on a manuscript of the Muqaddima. (Source). 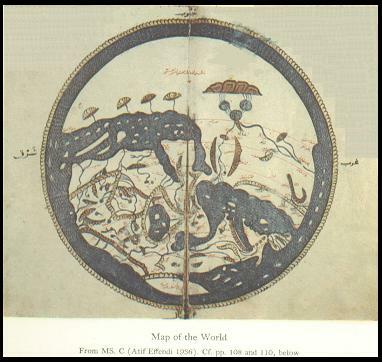 Ibn Khaldūn’s works can be classified in the categories of history and religion. Of his works on history, only his universal history has survived to our day. The history that was written specifically for Tamerlane, as Ibn Khaldūn mentioned in his autobiography, has been lost. His religious books are: Lubab al-maḥṣūl [Summary of the result]; a commentary on an uṣūl al-fiqh poem, and a few works of questionable attribution to him, namely a Sufi tract, Shifā‛ al-sā‛il[Healing of the inquirer]. Ibn Khaldūn’s magnum opus al-Muqaddima can be divided into three parts. The first part is the introduction, the second part is the universal history, and the third part is the history of the Maghrib. In this section, I concentrate on the first part. The second part is similar to the standard histories of Muslim historians, and there does not seem to be much divergence. The third part, which is concerned with the history of the Maghrib, is considered a primary source work. Much of the information in this section is from Ibn Khaldūn’s personal travels and contacts in the area, and is replete with firsthand accounts. An additional work that is not usually considered a part of this book is an appendix, which is an autobiography of the author. This impressive document is the essence of Ibn Khaldūn’s wisdom and hard-earned experience. He used his political and firsthand knowledge of the people of Maghrib to formulate many of his ideas and summarized almost every field of knowledge of the time. He discusses a variety of topics, including history and historiography. He rebukes some historical claims with a calculated logic, and discusses the contemporary sciences. He wrote about astronomy, astrology, and numerology; and dealt with chemistry, alchemy, and magic in a scientific way. He freely offered his opinions and well documented the “facts” of other points of view. His discussion of tribal societies and social forces is the most interesting part of his thesis. He illuminated the world with deep insight into the makings and workings of kingdoms and civilizations. Ibn Khaldūn’s contributions to the field of history must also be noted. 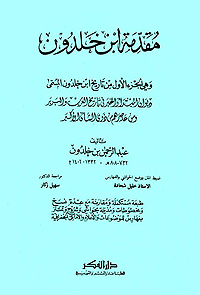 Figure 4:Tarikh ibn Khaldun, edited by Khalil Shahada, 8 vols. Beirut: Dar al-fikr, 2001. To download the volumes in PDF, click on: vol. 1, vol. 2, vol. 3, vol. 4, vol. 5, vol. 6, vol. 7, vol. 8. (Source). Ibn Khaldūn acknowledges that there are turning points in history. He wrote that in his time, he believed the Black Death and Mongol invasions were turning points, as was the development of Europe. His observations and research focused on the etiology of civilizational decline, “the symptoms and the nature of the ills from which civilizations die.”Ibn Khaldūn’s thesis, that the conquered race will always emulate the conqueror in every way, and his theory about ‘aṣabiyya (group feeling/party spirit) and the role it plays in Bedouin societies is insightful. The genius of this work is his study of the science of human culture, the rise and fall of empires; Ibn Khaldūn termed this the science of ‘umrān (civilization), and it contains many pearls of wisdom. His “Introduction” is his greatest legacy, left for all of humanity and generations to come. Although Goodman finds similarities between some of the historical theories of the two historians, there is little proof that the ideas of Thucydides ever appeared in Arabic. Further, as is the case with Ibn Khaldūn, not many of their ideas have borne fruit, except perhaps in the modern period. Ibn Khaldūn remains a vibrant and original thinker, not only in the field of history, but in sociology as well. Ibn Khaldūn’s view on science followed the traditional division of sciences, which involves a division into religious sciences and non-religious sciences. The non-religious sciences are further divided into useful and non-useful sciences (mainly the occult sciences such as magic, alchemy and astrology). In the Muqaddima, Ibn Khaldūn reports on all the sciences up to his time, with examples and quotations. He makes it a point to refute magic, alchemy, astrology, and philosophy in his book. His work became a record of the development of sciences in his day. Ibn Khaldūn criticized Neoplatonic philosophy, and asserted that the hierarchy of being and its progression toward the Necessary Being, or God, is not possible without revelation. 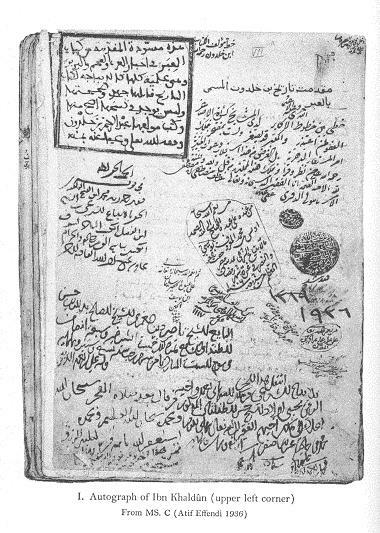 Figure 5: Front page of Manuscript of the World History of Ibn Khaldūn: Kitābal-‘Ibar wa-dīwān al-mubtada’ wa-al-khabar fī ayyām al-‘Arab wa-al-‘Ajam wa-al-Barbar. MS >Arabic suppl. 359Beinecke Rare Book and Manuscript Library, Yale University, New Haven. 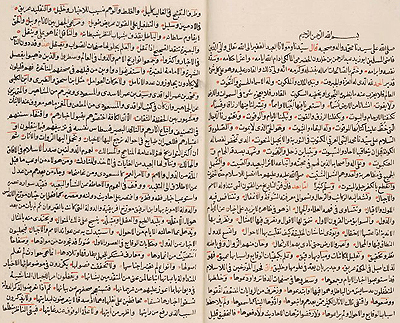 261 leaves, 26.5 x 17.5 cm; written in various hands and copied in 1140 H / 1728. Part of Ibn Khaldūn: An Exhibition at Sterling Memorial Library, Yale University Library, March to May 2008. (Source).